From Native American to Japanese culture, turtles have stood as powerful spiritual symbols. In Native American tales, the turtle was known as the ‘god of the shores’. In Aesop’s fables, the turtle was the champion of the saying ‘slow and steady wins the race.’ Below, we’ve put together a turtle tattoo dictionary, explaining the meaning behind each one of these tattoo designs. African Turtle: considered the most clever animal in African lore, the African turtle tattoo design stands as a symbol of cunning wisdom. Celtic Turtle: the Celtic turtle tattoo design is a special symbol of longevity. The Celtic knots stand for eternal life, while the turtle represents wisdom. Indian Turtle: believed to carry the burden of the whole world on its back, the Indian turtle is a symbol of resilience and strength. Tribal Turtle: this bold black design has roots in Polynesian and Hawaiian culture, and it represents a spiritual connection to the sea and mother nature. Vietnamese Turtle: in Vietnamese culture, the Golden God turtle is known to rescue people in trouble. Hence, the Vietnamese turtle tattoo design has come to represent safety and protection. Since time immemorial, turtles have had a spiritual connection to humanity. Whether the turtle stands as an overtly religious symbol, like the Vietnamese Golden God, or a symbol of the times, like the Peace Turtle in the 60’s, this tattoo design always promotes harmony and peace. 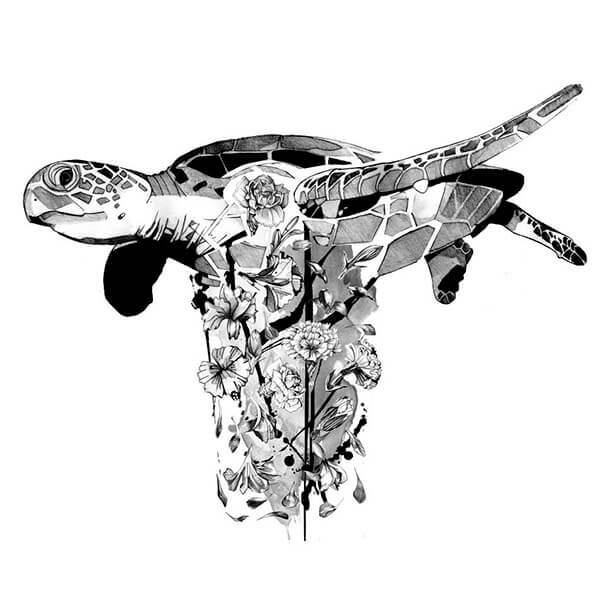 If you know of any other remarkable turtle tattoo designs, let us know about them in the comment section below!